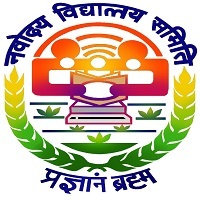 Jawaharlal Nehru Krishi Vishwa Vidyalaya (JNKVV) is a public university which is based in Jabalpur, Madhya Pradesh, India. 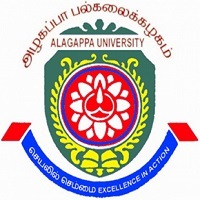 This university is specialising in the field of agriculture. 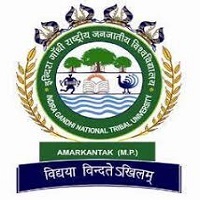 The candidates can take admission in one of the reputed institution and university for PG and UG courses may apply for JNKVV Admission 2019. Candidates those are seeking to take admission in the Madhya Pradesh’s Universities can apply for this admission process. Candidate should be passed 12th class from a recognised institute or the University of India. So the interested and eligible candidates can fill the application form on or before the last date. All the important information about JNKVV Admission 2019 such as Important Dates, Eligibility Criteria, Exam Pattern, Syllabus, Admit Card and Result etc are given in the article below. JNKVV Jabalpur Application process will be started from the month of April 2019. Candidates can Click Here to apply for courses offered by JNKVV. M.Sc (Horticulture): Fruit Science, Vegetable Science. M.Sc (Ag): Genetics and Soil Science, Agronomy, Agricultural Economics, Agricultural Extension, Plant Pathology, Entomology, Plant Breeding. M.Sc. : Plant Physiology, Molecular Biology, and Agricultural Statistics, Biotechnology, Food Technology. M.Sc (Forestry): Plantation Technology, Agroforestry. M.Tech: Farm Machinery and Power Engineering, Soil and Water Engineering, Processing and Food Engineering. The candidates can fill the application form online for the Entrance Exam. The application form for JNKVV Admission 2019 will be available on its official website which is as https://jnkvv.ac.in/. Candidates should fill their correct details like the name as mentioned in the certificates of their 10th class, father’s name, dates of birth, mother’s name. Candidates will be required to pay the application fee by online or offline mode as mentioned in its official notification pdf. The candidate does not necessarily belong to India or an Indian Citizen. Passed intermediate/ 12th from a recognised institute, candidates will be able to apply for UG Course. 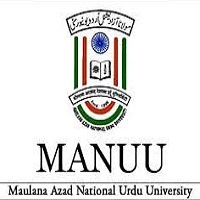 The candidates those have been completed their graduation in the same stream from one of the recognised institute or university of India can fill the entrance exam for PG courses. Few days before the exam from the official website, the candidates must download the hall ticket for the exam. The details about the exam center will be available in the admit card. Candidates need to have their admit card with them to get entry into the exam hall. The officials will announce the result only on the website. The officials will soon release the result on its official site. To get the Result, aspirants must have the admit card number. The Counseling is the process where the aspirants after the document verification will give the seat allotment letter. The applicants can check the counseling schedule once the results is out. After checking the result, the aspirants need to apply for the counseling process. Candidates need to fill the info about the choice of college & course in the form. Candidates can check the counseling venue date & time details on our page soon. The admission form will be on offline mode. Once you submitted the form you can not change the details. The eligibility criteria for Admission in Jawaharlal Nehru Krishi Vishwavidyalaya depends on the courses. There is no required to upload the soft copy of the minimum qualification/ reservation documents at the time of Jawaharlal Nehru Krishi Vishwavidyalaya form filling? On the counseling day it is important to keep the result. Only application form will be needed to send with the application form.